Subalpine, alpine. Meadows, tundra, rocks. Summer. Kennebec Pass, June 29, 2018 and Sharkstooth Trail, July 12, 2016 and June 15, 2012. 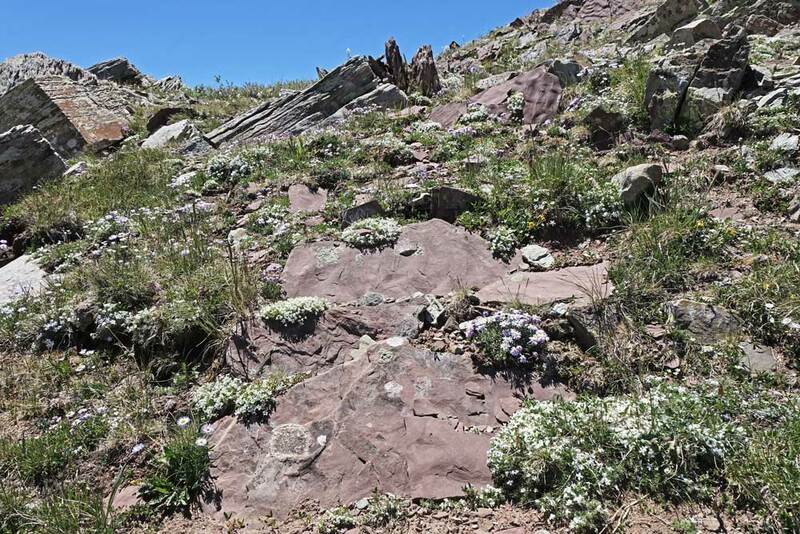 The top photograph shows an high subalpine rock garden dominated by Phlox condensata, Eremogone fendleri, and Erigeron leiomerus. 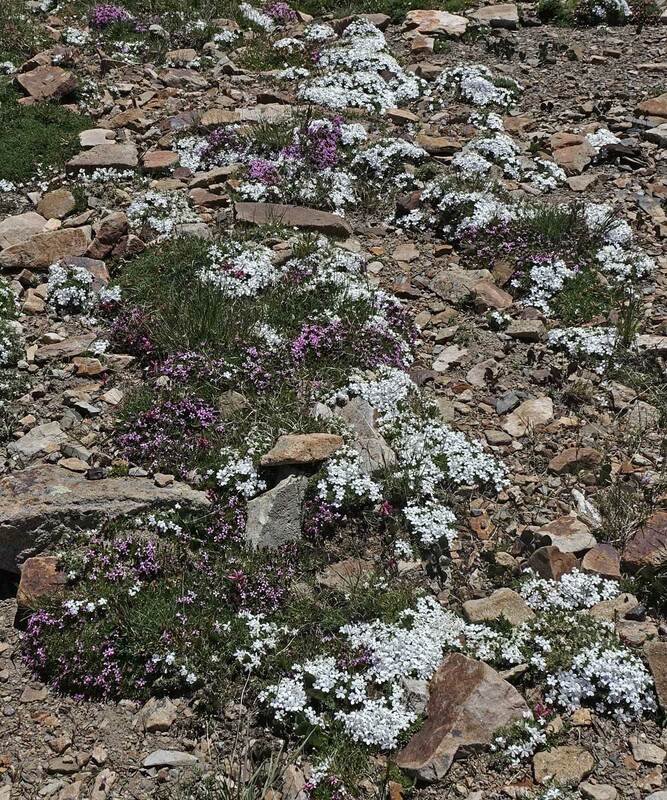 In the second photograph above, Phlox condensata and pink Silene acaulis mix on the rocky tundra. 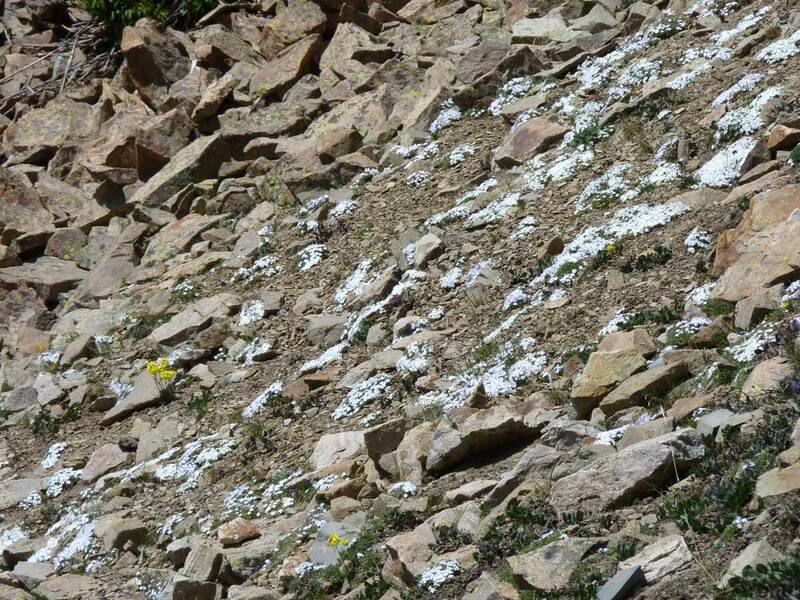 The third photograph shows mats of ice-like Phlox condensata flowing down alpine scree. Sharkstooth Trail, June 17, 2004 and June 15, 2012. 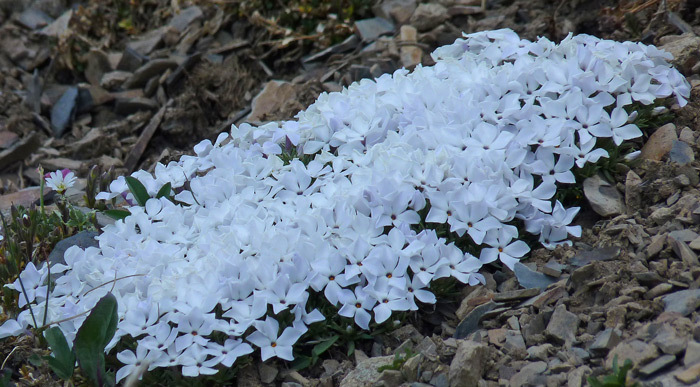 Phlox condensata is the sweetest smelling of alpine flowers and when the plant is abundant the air is redolent with its fragrance. 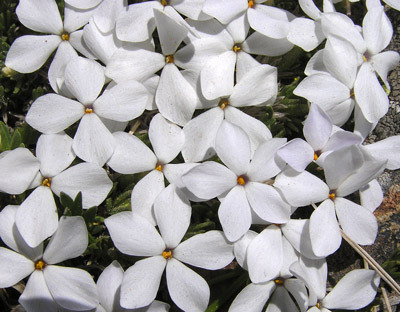 But since winds are common in the treeless areas that Phlox condensata favors, it is often necessary to prostrate oneself before it and nose into it to get the real smell. You won’t regret the effort. 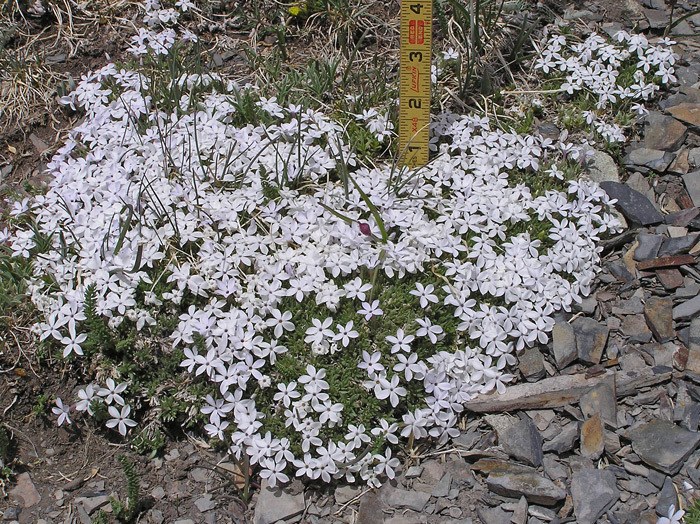 Charles Parry collected the first specimen of Phlox condensata for science in Colorado in 1861. 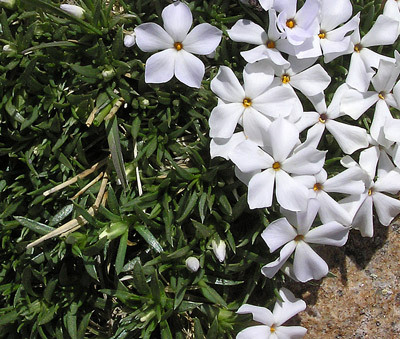 Asa Gray named this species Phlox caespitosa variety condensata and Elias Nelson renamed it Phlox condensata in 1899. "Condensata" is Latin for "coming together thickly", i.e., "dense", referring to the thick mat of tiny leaves. "Phlox" is Greek for "flame". Some Phlox are hot pinks and reds. Sharkstooth Trail, June 23, 2008. Leaves are linear to oblong, from 4-9.5 mm long, sharply pointed, and range from glabrous to slightly hairy. Black Bear Pass, July 20, 2008. 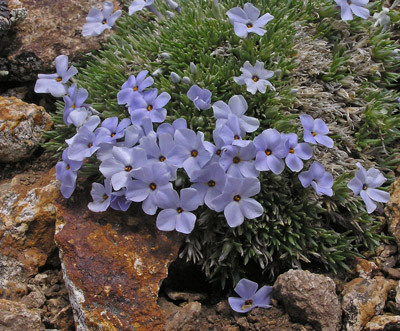 Phlox condensata flowers occasionally have a blue cast to them.